Set of four stem caps that twist onto your tire’s air fill valve stem. 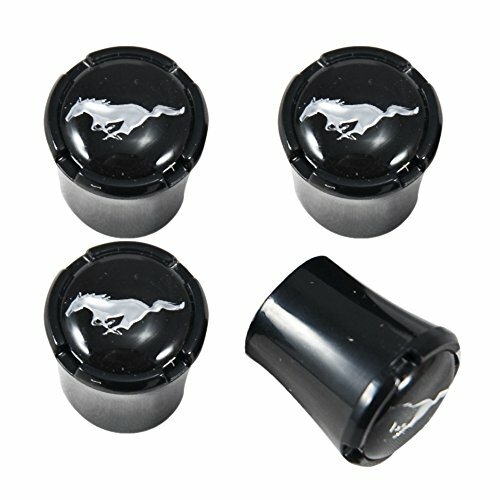 All black design featuring the Mustang’s running horse logo in chrome. Fits any Mustang. Any year, any body type!